Not all kids are psyched for mealtime, but every single child we meet goes bonkers for animals, and a cluster of critters is what makes JJ Rabbit's feeding gear so irresistible. Made from eco-friendly and plant-based materials, the cups, bowls, plates, fork and spoon set, mats, and bibs feature adorable details that will make mealtime a pleasure for both parents and kids. Don't be surprised if your little one suddenly wants to "be like a big kid." 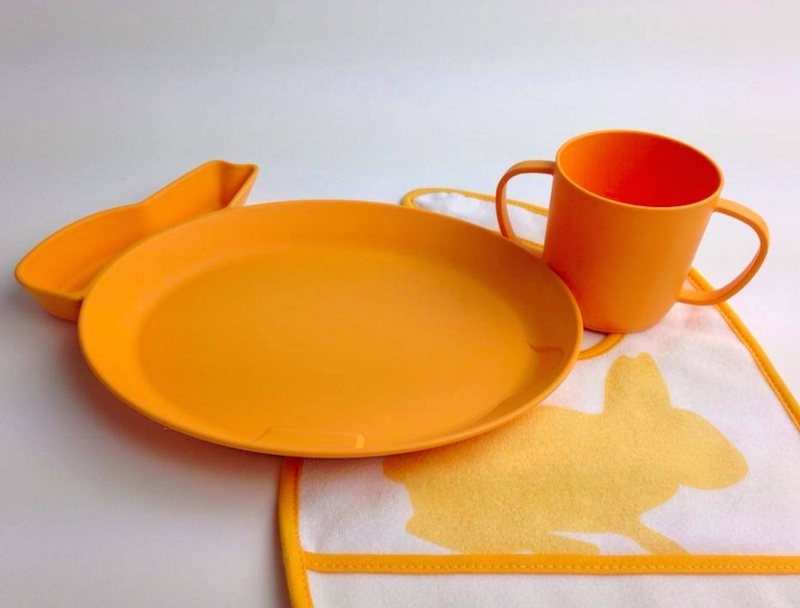 JJ Rabbit's products make becoming an independent eater look extremely palatable. Our favorite JJ Rabbit items are the CUPPIES, which were designed to serve as a transitional cup for toddlers who are ready to take the step away from sippy cups. 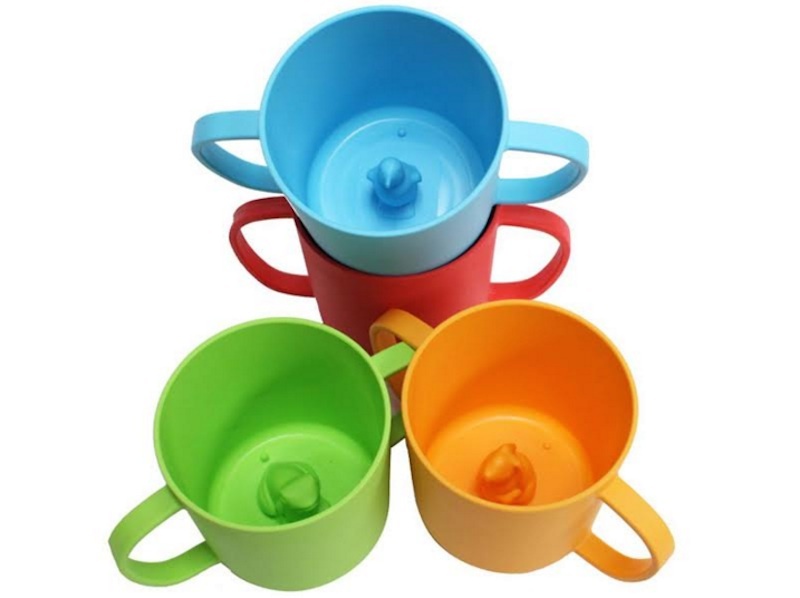 A penguin, frog, piglet, or rabbit hides at the bottom of each cup, encouraging kids to finish their water or milk to see which little animal awaits. For kids who aren’t ready to stop using sippy cups, CUPPIES can be used as cheerful bath toys, as a snack cup for dry snacks like cereal, or for holding a collection of pennies, beads, or acorns. While the CUPPIES caught our eye initially, we also adore the rest of the company’s feeding gear, all of which is made from FDA-approved biodegradable plastic that is BPA, PVC, and phthalate free. The aniBOWLs, available in frog or penguin, feature the animal’s sweet face and come in a two-piece set with two different colors. The stackable dipPLATES are cleverly shaped like minimalist animals such as bunnies and piglets and come in bright blue, red, orange, and green. Eventually, little ones become obsessed with feeding themselves and JJ Rabbit’s ergoFORK+SPOON set makes the process easier for them to master with an angled handle that’s easy for small hands to pick up and hold, as well as a curved tip that makes self-feeding less messy. Getting kids to eat is one task; keeping them clean is another beast entirely, but JJ Rabbit’s dryBIB should help get the job done. Featuring two layers of soft organic cotton, the bib features a waterproof interior and an exterior catch pocket. Plus it’s machine washable and comes printed with the silhouette of a bunny, penguin, frog, or piglet. And don’t forget the outrageously cute anti-slip siliMATS, made from soft, food grade silicone. These versatile mats, which can also be used in lieu of a plate, are easy to wipe clean and even have a hole in one corner to hang dry quickly. We can’t deal with how adorable the animals on the mats are (especially the pig). Let’s just say mealtime suddenly got a lot more appealing with JJ Rabbit and friends around! Our favorite JJ rabbit items are the CUPPIES, which were designed to serve as a transitional cup for toddlers who are ready to take the step away from sippy cups. A penguin, frog, piglet, or rabbit hides at the bottom of each cup, encouraging kids to finish their water or milk to see which little animal awaits. For kids who aren't ready to stop using sippy cups, CUPPIES can be used as cheerful bath toys, as a snack cup for dry snacks like cereal, or for holding a collection of pennies, beads, or acorns. While the CUPPIES caught our eye initially, we also adore the rest of the company's feeding gear, all of which is made from FDA-approved biodegradable plastic that is BPA, PVC, and phthalate free. The aniBOWLs, available in frog or penguin, feature the animal's sweet face and come in a two-piece set with two different colors. The stackable dipPLATES are cleverly shaped like minimalist animals such as bunnies and piglets and come in bright blue, red, orange, and green. Eventually, little ones becomes obsessed with feeding themselves and JJ Rabbit's ergoFORK+SPOON set makes the process easier for them to master with an angled handle that's easy for small hands to pick up and hold as well as a curved tip that makes self-feeding less messy. Getting kids to eat is one task; keeping them clean is another beast entirely, but JJ Rabbit's dryBIB should help get the job done. Featuring two layers of soft organic cotton, the bib features a waterproof interior and an exterior catch pocket. Plus it's machine washable and comes printed with the silhouette of a bunny, penguin, frog, or piglet. And don't forget the outrageously cute anti-slip siliMATS, made from soft, food grade silicone. These versatile mats, which can also be used in lieu of a plate, are easy to wipe clean and even have a hole in one corner to hang dry quickly. We can't deal with how adorable the animals on the mats are (especially the pig). Let's just say mealtime suddenly got a lot more appealing with JJ Rabbit and friends around!